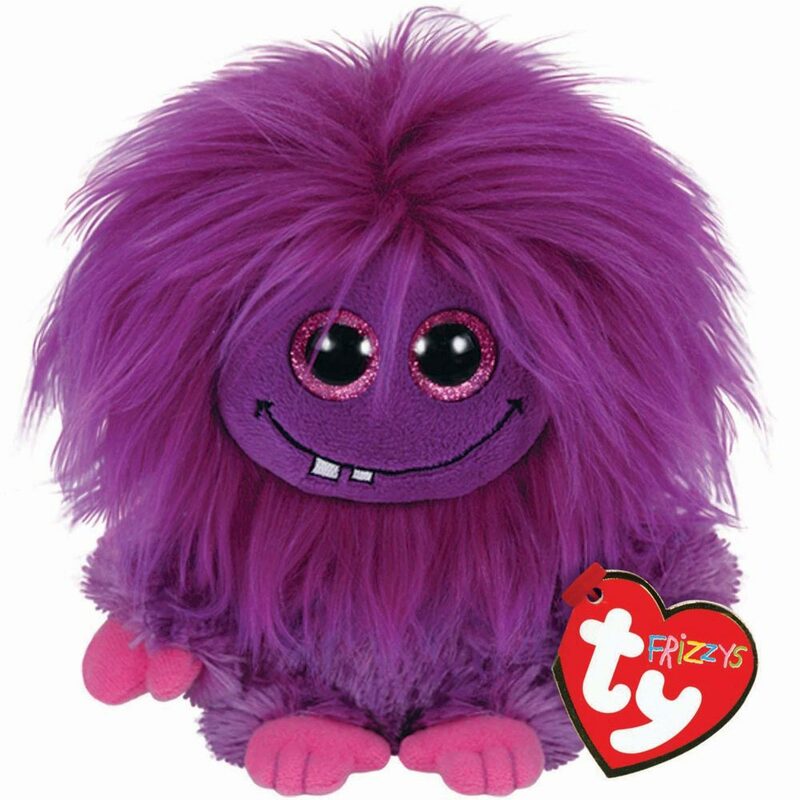 Lola is made from a fuzzy purple material with longer fur around the face. She has large sparkly purple and black button eyes and pink hands and feet. If you turn Lola upside down and shake her, her hair fluffs up. That I’m lovable as can be. This version of Lola was released in January 2015. Lola originally had odd-sized white eyes with tiny black pupils but she had a redesign in january 2015, giving her the purple sparkly eyes she has now. This version of Lola is 6″ tall. There is also a 9″ version and a keyclip. all the girls have one…its what we feel like in bsd hair das..